Homeschool co-ops help to meet a variety of needs and challenges faced by individual homeschool families. Each is unique in their schedules, classes, expectations, size, beliefs, missions, requirements, costs, and benefits. In joining a co-op you should weigh your options carefully. Our goal here is to put this information as close to your fingertips as possible, helping you make the most informed decision. 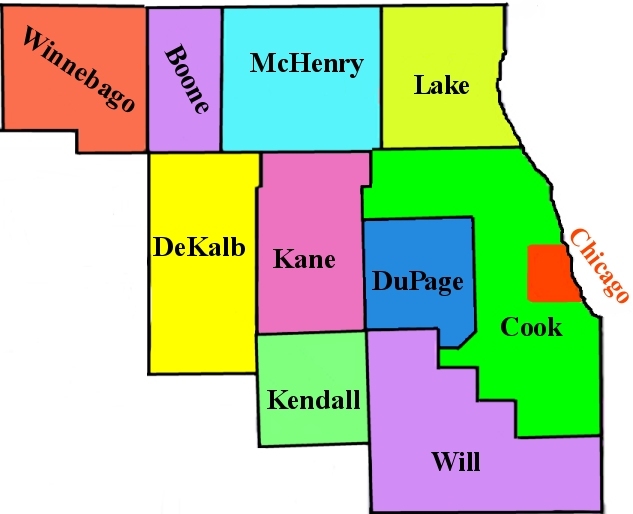 As I cannot be personally aware of every co-op in the Chicagoland area, this list does not indicate endorsement by me or this site, it is merely a directory for information purposes. I would encourage you to email, visit, and ask questions to assure the best fit for your family. We currently do not have any Co-ops for Boone County. If you know of any, please let us know by using the Submit Information page. A weekly homeschool community that equips parents and teaches children in the classical model of education with a thoroughly Christian worldview. Their morning periods consist of memory work, art, science, and presentations. Meets at The Moody Church, 1609N Lasalle, Chicago. South Suburban Home School & Gym Group, Inc.
A cooperative group dedicated to providing healthy opportunities for the home school community through physical education, socialization, and creative classes. They strive to work together to exponentially add value to families by investing and sharing their God given talents each week. This weekly homeschool enrichment program is possible because of the loving efforts and volunteer support of member families. They hold classes on Mondays from September-May at the Mount Prospect Bible Church in Mount Prospect, Illinois. They join in fellowship to celebrate their children’s gifts and achievements several more times each year, as they demonstrate their growth in music, song, art, drama and foreign language. Their class offerings are established by the needs and desires of the families. Currently their program operates with over 90 families. Class offerings now include programs for preschool through high school students in all academic areas as well as performing arts and private instrumental lessons. They also offer social activities and family events outside of regular meeting days. The Community Co-op is a family-oriented resource for homeschool families located in Oak Park, Illinois, serving Chicago and its surrounding suburbs. They are a non-profit organization officially founded as the “Community Organization for Near West Homeschoolers”, but affectionately known as the “The Community Co-op.” Their group offers homeschool enrichment activities for homeschooling families once a week, for a day of friends, fun and learning. Their mission is to create an environment for educational enrichment where homeschooling families can work co-operatively in an atmosphere of mutual respect and interest-driven exploration, while maintaining personal learning styles and sharing them with the group at large. Their blog and website incorporates all of the visionary foundations of the original founders while forging a new direction as the group continues to grow and adapt. Homeschooling is a journey which not only touches the families, but also the larger community, and indeed, the world. One goal of the site is to foster an enriching environment which contributes to the world in a way that puts big ideas, in little hands. AJCW offers activities, classes, and social opportunities for our children, tweens and teens. We are relaxed homeschoolers and unschoolers who believe in the power of interest-based learning. We believe in learning through living. Children, youth and adults are naturally curious and highly motivated to learn about things that interest them, that they have questions about, and that they want to master. AJCW supports a community of learners in which children, tweens, teens and adults engage in activities that are meaningful, challenging, fun, and connected to real life. AJCW is a secular community where all faiths, diversity, cultures and experiences are welcomed. We are committed to respectful relationships with those whose life experiences are diverse and expect the same of all participants. REACH is a group of homeschool families involved in the exciting and challenging project of homeschooling for high school, centered in Evanston but drawing from all over the northern and northwestern suburbs. Students come together for a day of classes and camaraderie and dinner together. Their goal is to find the best teachers, recognized experts in their fields who are passionate about sharing their knowledge with students. Located near Northwestern University is ideal for recruiting faculty and graduate students. Sometimes their experts happen also to be homeschool parents! A day of classes running from 12:30-7:30, to allow families who drive long distances to avoid rush hour on both ends of the day and to better to accommodate teen sleep schedules. The flexibility to take one, two or all three classes, and a quiet workspace with wireless internet to use when students are on site but not in class. Classes which are drop-off and do not require a parent to remain in the building. Because of this, and because their goal is to offer a social experience as well as an academic one, the minimum age is 13. After the class day has ended, a meeting in the same location of the award-winning Chicagoland Model United Nations Club, an independent high school club to which a number of their students belong. Meets on Mondays at Evangelical Free Church with courses available for the following levels: Foundations, Essentials, Challenge A and B, Challenge I and II. EDGE is geared toward Christian homeschoolers in DuPage County who are looking for support, encouragement, instruction, and interaction with other like minded families. Eastern DuPage for Godly Education and their Friday co-op group Gym and Enrichment were founded over fifteen years ago with that very purpose in mind. EDGE began as a small gathering of families who met for gym activities, but has since expanded to offer enrichment classes such as art, tumbling, dance, science and writing. Their group is made up of Christian homeschooling parents and their children who volunteer their time and talents, collectively pooling their abilities so that many may benefit from their instruction. The Learning Vine is a Christian supplemental homeschool program that meets on Mondays and Fridays at Community Christian Church on Emerson Ln. in Naperville, IL. The Learning Vine provides both academic and enrichment classes for grades Pre-K through 12 in a Christian environment. Their Academic Program brings together the rigor and accountability of private school with the safety and control of homeschooling. Their Enrichment Program offers a wide array of fun, hands-on classes in the visual arts, athletics, perfoming arts, creative writing, hands-on science, and life skills. Homeschool Kingdom meets Fridays for a spring and fall semester to offer Christ-centered electives, gym, and nursery for all ages. They also offer Mom’s Hour that includes homeschool help and Biblical discipleship. Home School University exists to provide an affordable opportunity for home school parents to customize and enrich their student’s education in a Christ-centered environment. Serving the western suburbs of Chicago, The Greenhouse was founded in 2001 to provide classical, Christian education to home-schooled students. Offering classes in Foundations, Essentials and Challenge A on Mondays at Faith Evangelical Covenant. The purpose of HHSW is to provide high quality, academically challenging, spiritually uplifting classes to supplement, support, and encourage, but not to replace, what is being taught at home. The classes are a unique, educational experience that combines a high level of commitment from parents, students, and teachers. They strive to provide a Christ honoring and loving environment for all students to learn, be challenged, make friends, and grow in their relationship with their Savior. They meet on Mondays with classes offered between 8:00 am and 4:00 pm. Students may take classes any hour that he or she chooses. 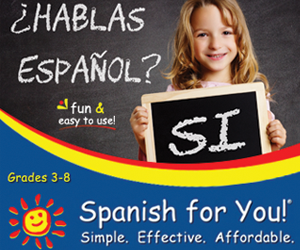 The classes are designed to meet the needs of families with children ages K-12. Preschool classes are offered strictly for those families with registered older siblings. Heritage offers many high school classes needed for graduation as well as a number of special interest classes and classes in Christian living. Heritage also provides a Classical Education alternative. Please visit their website for more information! CWF is a co-op of families that meet weekly (Mondays) during the spring and fall semesters at Epworth Methodist Church in Elgin. The unique aspect of this co-op is that the parents volunteer to teach the classes. This keeps fees extremely reasonable and offers a wide range of classes led by fellow homeschoolers. They accept new families at the beginning of each semester and there is a cutoff date for entry. Each family shares in taking on a volunteer job as well as making a small purchase of basic supplies each semester to keep the co-op running smoothly and affordably. G.I.F.T. is A non-profit enrichment program, organized by volunteers, offering classes to homeschoolers of all ages (Pre-K to Adult). Classes are taught September – May by paid, professional teachers and are open to all homeschoolers regardless of faith. TEC is a Christian homeschool group of families who will meet on Tuesdays at Lord of Life Church – La Fox, IL – just west of Geneva in order to provide various classes. Their instructors are paid, qualified teachers who love the subject areas that they are teaching. As part of the co-op, parents are expected to serve at the co-op during the times that their children attend. Since this is a parent run co-op, the success of the group depends on the involvement of caring, committed parents. They offer Apologia Science, High school and elementary Spanish, Literature, Language Arts/Writing, Speech, Art, ballet, Classical Connections, sewing, and choir. Classes for Kindergarten through High School. The Classical Consortium provides a unique and exceptional educational experience for homeschooled students in the Northern Illinois area. The Classical Consortium is a one-day-a-week, comprehensive, academic program that follows a classical method in both the subjects taught and how those subjects are taught. Students are in C.C. classes on Mondays and are responsible to accomplish homework from those classes during the week under their parents’ supervision. C.C. serves students in third through twelfth grades. H.E.A.R.T. (Homeschool Enrichment Achieved Respectfully Together) is a nine-month, weekly program for homeschooled children in kindergarten through 8th grade that supplements the teaching they receive at home. Students kindergarten through fourth grades receive qualified instruction in the areas of art, science, Spanish, and physical education. Students are also able to take a class in music or drama. In addition, students are exposed to a wide variety of other subjects during month-long unit studies taught by parent volunteers. Fifth through eighth grade students receive teaching in the areas of physical education; Spanish; speech; music, drama or biblical study; fine art or woodworking; and home economics or strategic games. Fun Club Too is a inclusive homeschool group located in northeastern IL and southeastern WI. We meet two to three times a month on Thursdays for field trips. Home Run Kids is a cooperative ministry of Village Church in Gurnee designed to provide a healthy, safe and nurturing environment for home school families to experience community, fellowship, support and academic enrichment. The Home Run Kids organization and its leaders are committed to God’s word and His principles. We seek the participation of families who share this commitment to God’s word and to home schooling. This group is primarily intended for Village Church homeschoolers, but is open to others in agreement with their statement of faith as room allows. Lakeland Home Educators seeks to provide support and encouragement to home educating families, foster Christian friendships, and grow individual relationships with Jesus Christ, becoming like Him while relating to their children, one another and the world. They meet together monthly for fellowship with discussion of various home education issues and concerns, offer encouragement and support to one another as mothers, email updates related to home education and events; parent initiated field trips; group activities and events for parents and children; and educational opportunities. Apple Tree is a Biblically based cooperative learning enrichment program for homeschoolers pre-K through 12th grade. They provide hands-on supplements to your home curriculum including PE, drama, art, sports, music, accountability, fellowship and fun. They meet every Wednesday from September to April in Lake Villa, IL. Offering Foundations and Essentials level classes on Mondays in Living Water Community Church. The H.E.I.G.H.T.S (Honesty, Excellence, Integrity, Goodness, Humility, Teamwork, and Self-control) co-op offers classes to supplement your home-school curriculum. Our emphasis is middle school and high school academics, but includes classes for younger children. Classes taught have included Apologia sciences, U.S. Constitution, church history, creative writing, etc. The co-op also produces a play each session. We meet Tuesday afternoons for two sessions, September-November and January-April. schooling in the Plainfield area. Offering a complete curriculum for K-12 students. Meets on Fridays at Morningstar Baptist with classes at three levels: Foundations, Essentials, and Challenge A. Looking to homeschool son. Need help with which option are best. It really depends on what you are looking for and the age of the child. You can check out resources here, visit a few co-ops, or even better, find a homeschool family to chat with about your unique situation. And then, feel free to experiment a bit. It doesn’t hurt anyone to try a couple options out to find the one you like best. Hope you find what works best for you.